It’s a great feeling when a media opportunity comes together perfectly and makes for an even better story than anticipated. 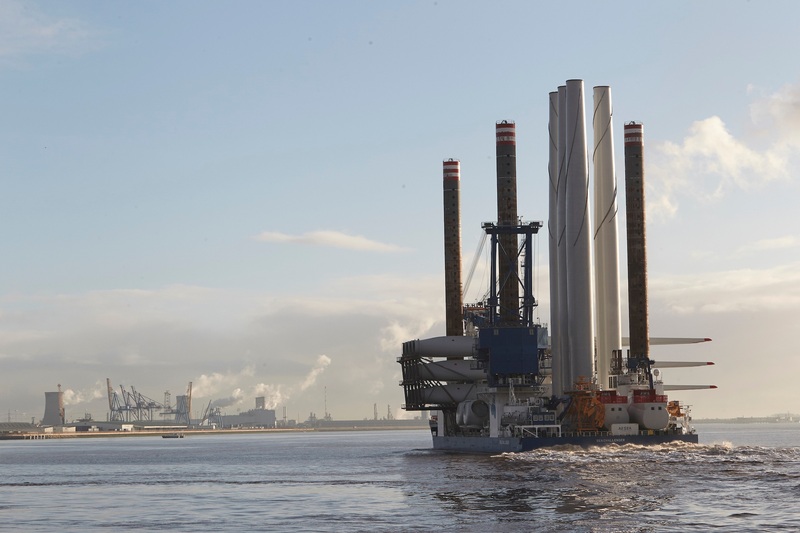 That was definitely the case with the first shipment of wind turbine components from the Siemens site in Hull. 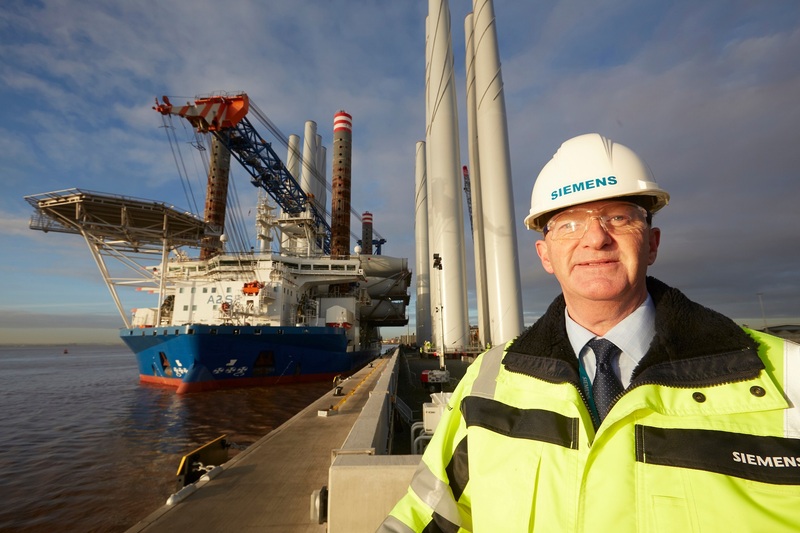 This was the latest major milestone for the Siemens investment, as it signalled the start of the first project for the new Hull facilities, and was clearly a newsworthy event. 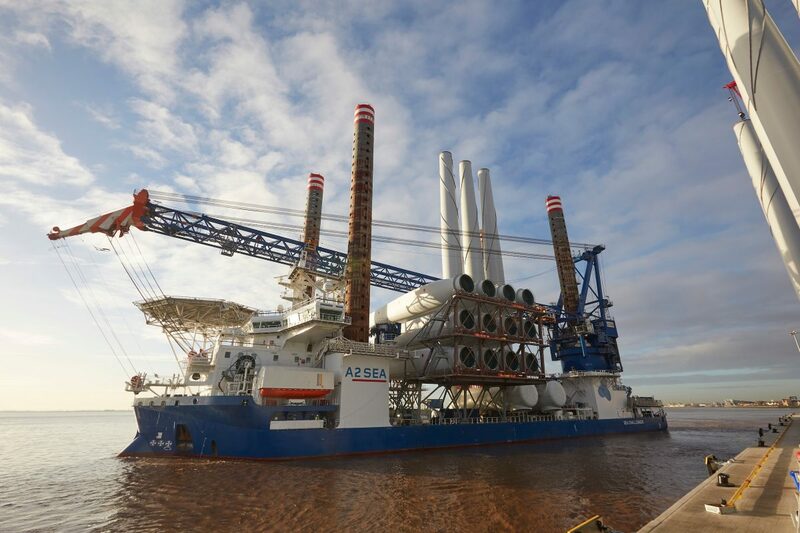 But the timing was unpredictable, as the huge Sea Challenger wind turbine installation vessel could only sail at high water and when weather conditions in port and at sea allowed. There was every possibility this would be after dark. As it was, I got word late on Wednesday afternoon that the ship would depart early the next morning, allowing just enough time to alert the media to the opportunity. Even then, it was touch and go whether we would be able to get the media party on site, equipped with PPE and given a safety induction in time to capture the big moment. Barry Denness watches as the Sea Challenger sets sail from Siemens on the Humber, for the Dudgeon offshore wind farm off the Norfolk coast. The Sea Challenger, a jack-up ship specially designed for installing offshore wind turbines. The Sea Challenger sets sail for the Dudgeon offshore wind farm off the Norfolk coast. As it turned out, the timing was perfect, with the Sea Challenger leaving the new harbour at around 10.15 on Thursday morning, in bright sunshine and on calm waters. 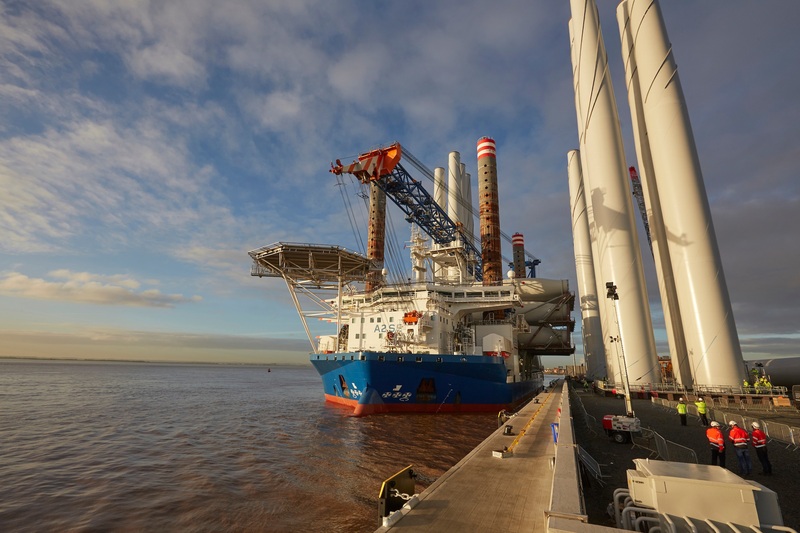 The huge vessel steaming up the Humber, loaded with 5,000 tonnes of turbine components and associated equipment, made for an amazing sight as well as superb pictures and film footage. The added extra for me and the journalists covering the story was the discovery that the Siemens spokesperson, Barry Denness, had a fantastic personal link with Hull’s maritime heritage. Unbeknown to me, Barry, the Head of Port Operations for Siemens in Hull, is the son of Mary Denness, one of the so-called “Headscarf Revolutionaries” who led a successful campaign for safety measures for Hull’s trawlermen after the Triple Trawler Tragedy in the 1960s. All credit to Hull Daily Mail reporter Angus Young for unearthing that angle, by immediately asking Barry if he was any relation to the campaigner – a great example of the value of experience and local knowledge. The media interviews also highlighted how Barry has switched from decommissioning in the North Sea oil and gas industry to the burgeoning green energy sector. It all added up to a superb demonstration of Siemens’ local credentials and relevance to Hull’s heritage, as well as how the company is leading the transition from fossil fuels to green energy. Despite making his media debut, Barry put in a starring performance in interviews with press, radio and TV journalists. He was confident, authoritative, authentic and passionate – everything you would want from an interviewee. So the media opportunity turned out perfectly and produced extensive and excellent media coverage. And, as so often in my work for Siemens, it was a privilege to be part of a historic milestone for the company and the city of Hull.